Expertly planned itineraries for all budgets and any group size. We're all really passionate about educational travel - there's no substitute for taking some of the learning outside the classroom, and we are here to help you inspire and educate your students with memorable (and sometimes magical!) experiences. One of our most important jobs is to make your role as Party Leader as hassle-free and paperwork-free as possible. We will do everything we can on your behalf, and we will respond to you as quickly as we possibly can at every step of the way. Let us do the leg-work and form-filling, and you can focus on giving your students the most enjoyable and valuable educational experience. 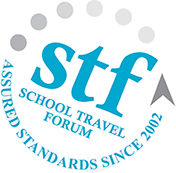 Diverse School Travel have been a fantastic company to work with to arrange an international trip. The travel consultant (Leanne) was really helpful, organised, friendly and easy to talk to and made the organisation of the trip really easy. I would recommend Diverse School Travel to others and would definitely use them again! I have never organised a school trip before so did not have anything to compare you to. A fantastic effort made by Leanne! She worked hard to make sure she met every request we asked of her. Her quick response to emails was very notable, and made the organisation of the trip very smooth! This is now my 4th trip with Diverse Travel and I will continue to use you as your service is exemplary. Thank you. The trip was a fantastic success and was brilliantly organised by Rebecca. No stone was left unturned and the papaperwork was impeccable. Diverse were amazing and dealt with the issues we had at the airport (lost bags) and the embassy (lost passport!) so well, it was amazing! A super company to use. Diverse will always be my first choice when looking at future trips because I just don't think anyone can match up to your service. Everything was covered in perfect detail. We had a fantastic itinerary with clear timings for each day and maps to get us everywhere included in our package so we knew where to be and when to meet. Perfect! The quick and detailed responses we have had from you have been far better than from any other company. This trip takes a year to plan and run but Monique is great at asking for what she needs and when she needs it. Many people in school wonder why I am willing to run a foreign trip - it's because Diverse make it a doddle! At every step of the process, Diverse were absolutely superb. From our first inquiry, to providing flight updates on the day of our departure, every aspect of the trip was extremely well supported by the company. We are thrilled with the support provided. Diverse made the trip effortless! Everything ran very smoothly and I felt in the know before I got there. All emails were replied to very punctually. When our flight was delayed Diverse sent an alternative itinerary for the afternoon. Thank you! Ana provided outstanding service and support. Communication was perfect, support and help was above and beyond and the company's handling of the nature of school payment was ideal. I have already recommended you to 2 schools. I haven't used another travel company before but after the service I received at Diverse I will most definitely be using them again. Everything was smooth sailing from start to finish! There are lots of ideas for educational trips on this website, but most of our tours, especially those abroad, are actually variations of what you see here, or even entirely bespoke. If you like one of our itineraries but would like some changes, or if you have ideas of your own, just get in touch. Choose a tour similar to the one you want and click Request a Quote - then tell us which changes you'd like. 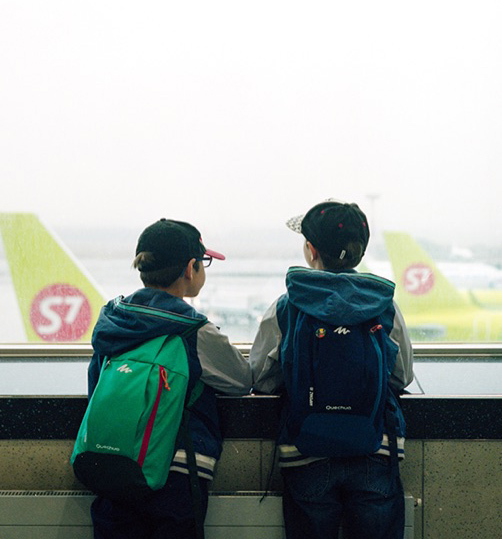 Educational trips offer pupils some of their most memorable experiences of school. See what schools are choosing as their favourite tours. Read more to go straight to a list of our current best sellers! Here's a list of today's five most recently enquired trips - see which school tours teachers are looking for right now!